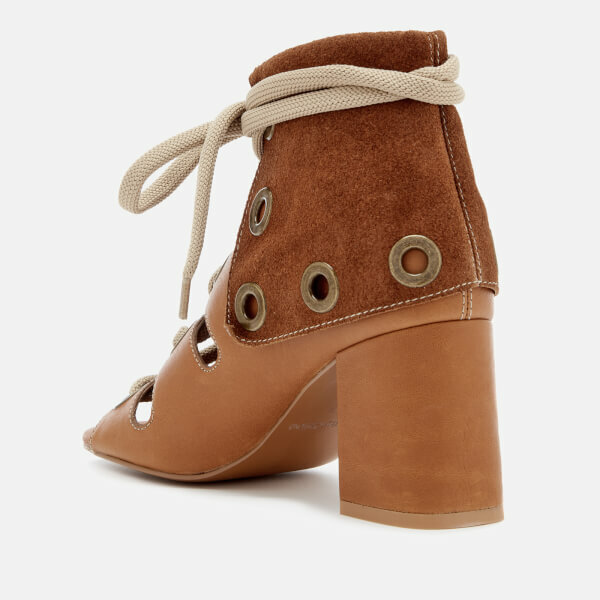 Women’s leather heeled sandals from See By Chloé. 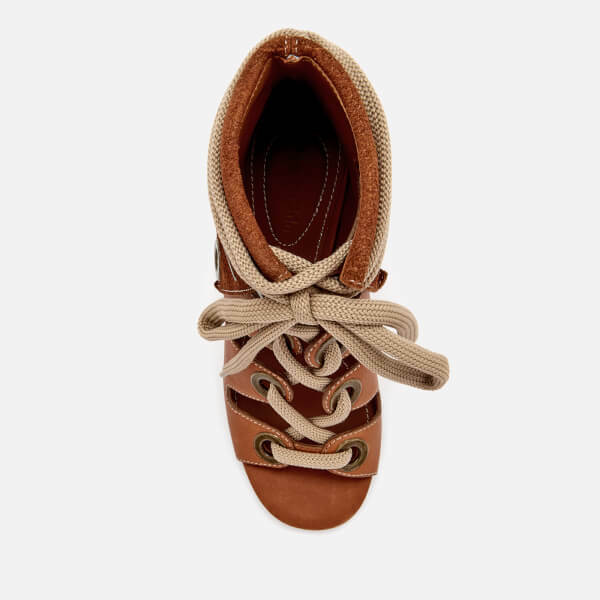 Crafted from smooth tan calf leather and suede, the shoes comprise a lace-up front closure with metal eyelets, an open toe and fold-over detail at the ankle. Set upon a slim leather sole with chunky block heel.